It’s no secret that I’m a bit of a beauty product junkie. My poor boyfriend has had to put up with countless drawers of products taking over our bedroom and bathroom, yet still I keep buying more. Why? Who knows. I’m terrible for being influenced by other bloggers, and if I see someone talking about a product that’s amazing, I need it. Often products that amaze other people, don’t impress me quite so much, and many leave me disappointed. I’d hate to think just how much money I’ve spent in the past on disappointing beauty products, only to try and palm them off to other friends. Rather than write another blog post raving about my new favourite products, I thought I’d share a few with you that have left me feeling pretty meh. One of the first products that has left me feeling a bit disappointed was bit of a surprise to me, as Benefit are one of my favourite brands and I’d never found a fault in any of their products. Recently I picked up the Refined Finish Facial Polish and the Moisture Prep Toning Lotion as I hadn’t tried any of their skincare products before. 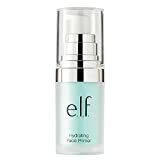 The toner I liked, but the facial polish to me was just a really watery polish that did nothing. Another disappointing skincare product is the Dirty Works Micellar Cleansing Water, which I thought would be great for taking my makeup off first before using a cleanser. Oh no, this decided that rather being suitable for all skin types as it claimed, it would instead aggravate my sensitive skin and sting my eyes, not really ideal. Another brand that I’ve loved that has never disappointed me is Lee Stafford, and their Breaking Hair range is one of my favourite product collections, however the Hair Growth Leave In Treatment has failed to amaze me. I thought it would help to strengthen my hair to help with it’s growth, but instead it would just leave my hair feeling greasy and heavy, and really unmanageable. Not having completely lost my faith in Benefit, I tried out The Porefessional Agent Zero Shine Powder after hearing lots of people raving about it. To me it just feels cakey, and it really doesn’t seem to work on me, which is disappointing. Another disappointment comes from another favourite brand, REN. I was sent their Instant Firming Beauty Shot a while ago, which is meant to make your skin smoother and more youthful, but to me it just makes my face sticky and makes it harder for my moisturiser to sink in. A long time ago now I received the Trilogy Rosehip Oil in a beauty box, which I was pretty excited about because of the many raving reviews I’d read online. I’ve used lots of oils before so I know that it can feel a little greasy once applied, but this would seem to stay on my face forever, still leaving me feeling greasy and shiny the next morning. It also made makeup application the next day a nightmare, with everything just wanting to slide off of my face. And the final disappointing beauty product comes from Burt’s Bees and their Sensitive Eye Cream. I have pretty sensitive skin, especially around my eyes, so I thought this would be perfect for me. Instead it just leaves my eyes feeling really sore, completely defeating the point! So that’s a few beauty products that I’ve found disappointing recently, are there any that have left you disappointed?